One of my favorite blogs to read is Kerrie's blog, Life On A Mission. Periodically she hosts a link-up called "Hello, my name is ______". The point of the linkup is to recognize some of the lies that Satan has been telling us, and to remember what the truth is - what our "new name" is in Christ. She hosted the linkup again last week, and I sat there thinking for a little while about "names" that have come to mind lately that are really lies. And this might sound melodramatic, but a couple words came to mind. Things have not been running smoothly around here lately. Derek is traveling again, and I am truly so over it. It's hard. It's hard to have him gone. I feel lonely, I feel overwhelmed, I feel tired. And that does sound melodramatic unless you have a husband who travels a lot - and then you understand. I give major props to military wives or single moms - because I only have to do it by myself during the week, a few months at a time. I think it would be ten times harder to have to run a household completely alone for a year+, or indefinitely (and some moms have to work full-time too!). Anyway, the bottom line is that it's just hard. Not as difficult as a lot of trials other people have to walk through, but hard for me none the less. Then our car broke down the other day, which seems minor (and really, it is), but this is the fourth major car issue we've had over the last six months. We've already got quite a bill we're working on from our previous car issues, and then this is adding to it. So the other day I found myself wondering when we're going to catch up? When things are going to start getting easier? How much longer can I do this? And it crossed my mind that maybe God has (1) forgotten about my requests here, or (2) that maybe I'm doing something wrong and He's letting all these frustrating things continue in order to punish me. But you know what? Those are both lies. God has not forgotten about me. He loves me more than I can understand. He knows of my frustrations, my loneliness, my weariness. 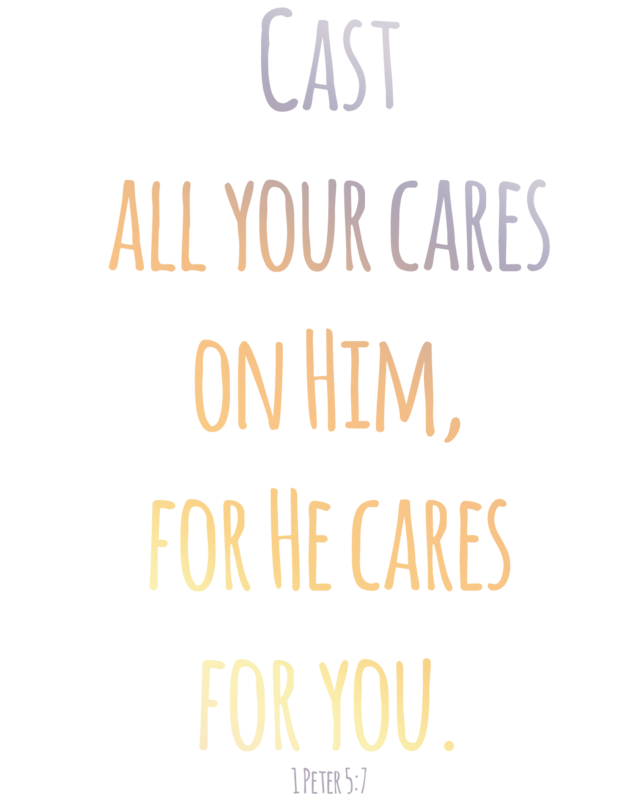 And He cares. He hasn't forgotten about my requests. He's not punishing me. Are there areas where I need to search my heart, maybe correct my course a bit? Of course. But these bad things that happen aren't God saying "First you straighten up here, and then I'll take away that painful stuff". That's not how He works. I've already been forgiven for all my failings. Jesus already took all that punishment for me on the cross. I do think that God works in us through the bad things in life. I think He allows certain things to happen or continue. It's not to punish us, or to get us to "shape up". 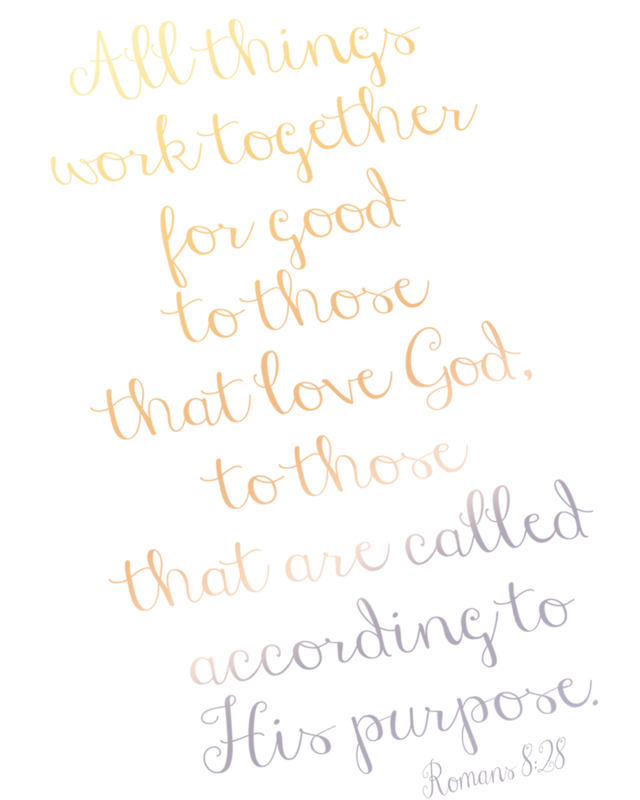 God is working through all our difficulties to shape us - to teach us how to be more like Him. There are things we would never learn without the hard stuff of life, but God wants us to learn it - and He walks us through the hard times, guiding us and teaching us. Not because He's angry at us. Not because He doesn't care about the little things. Sometimes He allows things because He loves us. If He just took away all the pain and difficulties in our lives, what would refine us? Which precious lessons would we never learn? He knows that the best thing that can happen is for us to draw closer to Him, to learn to be more like Him - and that's what trials do. If we react rightly, they chase us further into His arms. That is a good thing. It is the best thing. So I'm not forgotten. I'm not being punished. I am being molded. I am being taught. I am remembered. I have been redeemed. And because He loves me, He's refining me. Great post! I can't imagine how hard it is to have to take care of all the responsibilities at home alone during the week, especially when you are feeling lonely and missing Derek. I have been struggling lately too, thinking "what do I have to do to make things easier? When is it going to stop being so hard?" And I kind of had a similar revelation. Sometimes (or most of the time) I guess life is going to be hard. But luckily we don't have to deal with it alone! Praying for you, and hoping these months go quickly until Derek doesn't have to travel so much! That's powerful Callie. Thanks so much for linking up. I'm still learning the truth that my trials are meant to chase me into His arms. Thanks for sharing. Little Book Of Bedtime - Review and Giveaway!